So adorable!! I love the glittered top on the snow and you've colored them perfectly! This is darn cute! Simon and Dexter are adorable, and this is a beautiful snow scene you've created, Brigit! Thanks for joining us for this week's challenge at Simon Says Stamp Monday challenge using "just a pinch"! 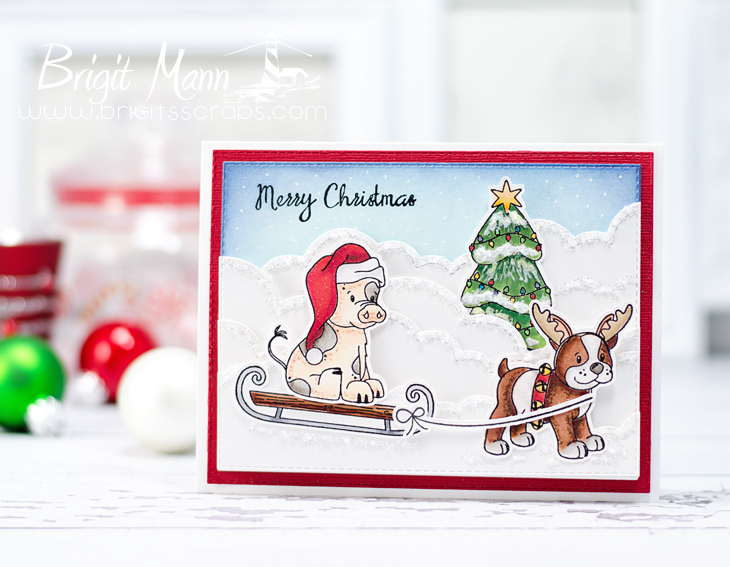 Brigit ~ oh how sweet is this card!! Your coloring is amazing!! !